Battle of the shirts: fishermen, charter captains and conservationists with white coalition t-shirts faced off with Omega Protein (who had their own orange shirts) Tuesday at the Atlantic menhaden board meeting where catch limits were increased 10%. John Migliori with a 4 pound 12 once largemouth bass he caught on Aquidneck Island using a Schadeycreek Chartreuse Dynamite Lure. In a sixteen to one vote the Atlantic menhaden board of the Atlantic States Marine Fisheries Commission (ASMFC) approved a 10% increase (a total of 187,880 metric tons) in Total Allowable Catch (TAC) for the 2015 and 2016 seasons. The vote which occurred Tuesday at the ASMFC spring meeting included Rhode Island representatives supporting and voting for 10% more Atlantic menhaden to be taken from coastal waters and Narragansett Bay. Atlantic menhaden (or pogies as they are commonly called in New England) are used as bait fish for recreational anglers to catch striped bass and blue fish as well as lobstermen and crab fishermen as bait in their traps. However, they are most often caught by Omega Protein, a Texas based company with a big presence in Virginia. Omega Protein takes over 80% of all Atlantic menhaden landed in the United States to process for fish pills, fertilizers, pet food and a variety of other uses. Members of the menhaden coalition included conservation groups, recreational fishermen and charter captains. They and just one menhaden board member (from the U.S. Fish & Wildlife Service) were opposed to any catch limit increase as ecological reference points had not been established for the species. Ecosystem-based management practices had not fully been considered in the Board’s recommendation to increase catch limits. Recreational anglers in Rhode Island fear this decrease in fish is coming their way even though the 2014 stock assessment showed an increase in biomass and said the species were not overfished and overfishing was not occurring. The assessment also showed that in recent years Atlantic menhaden were not being born (recruited) in the numbers they once were, even though more were in the water. Many believe the 20% reduction in total allowable catch instituted in 2012 was the primary reason for an enhanced biomass in 2014. Dave Borden, one of three RI ASMFC representatives said, “We voted for the increase but I found eight things wrong with this (Atlantic menhaden) Fisheries Management Plan (FMP). One major item is the bycatch provisions. It does not make sense to allow boats in some states to have a bycatch allowance that far exceeds Rhode Island total allowable catch limit for directed fisheries.” Rhode Island’s catch limit is approximately 66,779 pounds; Virginia’s catch limit is 318,066,790 pounds. “I am voting for an increase in Atlantic menhaden because the assessment shows that there are more fish in the water.” said Eric Reid, who is Rhode Island Senator Susan Sosnowski’s newly appointed proxy to the ASMFC. Reid, general manger of Seafreeze, Ltd., a fish processor located in Narragansett, RI, replaced Capt. Rick Bellavance, president of the Rhode Island Party & Charter Boat Association as Senator Sosnowski’s proxy. All ASMFC state members voted for the Atlantic menhaden catch limit increase. The Mid-Atlantic Fishery Management Council recommended a 12% decrease in the Annual Catch Limit (ACL) of Atlantic bluefish. The reduction recommendation in quota was done to account for changes in the stock size outlined in the 2014 stock assessment update. The National Oceanic & Atmospheric Administration (NOAA) is seeking input on the planned commercial harvest limit of 5.12 million pounds, a 31% decrease from the 2014 quota, and the proposed recreational harvest limit of 13.07 million pounds, a 3% decrease from 2014. In recent years state landings of bluefish have typically been below their allocated quota so the proposed quota reductions may be partially mitigated by a state’s ability to transfer quota. Based on the estimates from recent updated stock assessment, the bluefish stock is not overfished and overfishing is not occurring. Read the proposed rule, and submit your comments through the Federal eRulemaking portal online by May 12, 2015. Comments may also be submitted in writing to: John K. Bullard, Regional Administrator, NMFS, Greater Atlantic Regional Fisheries Office, 55 Great Republic Drive, Gloucester, MA 01930. Please mark the outside of the envelope: "Comments on Bluefish Specifications." 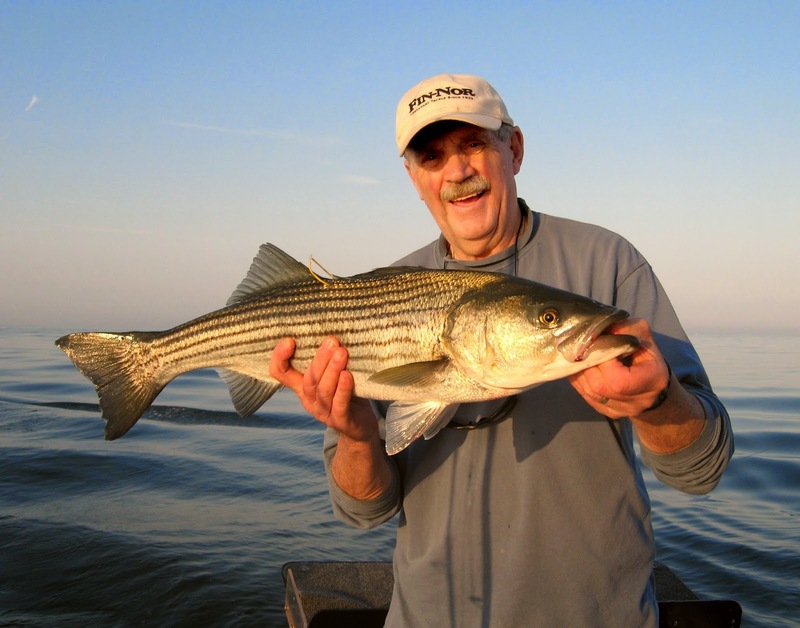 Noted underwater photographer Mike Laptew has teamed up with the Recreational Fishing Alliance (RFA) to advocate for the Striped Bass American Heritage Act. The Act is a bill put before US Congress last week to designate the striped bass as the National Fish. The bill is sponsored by Congressman Tom MacArthur. Mike Laptew who is noted for his underwater filming of striped bass (and other species) is urging all to call or write members of their congressional delegation asking for their support for the Striped Bass American Heritage Act. Freshwater fishing remains strong. 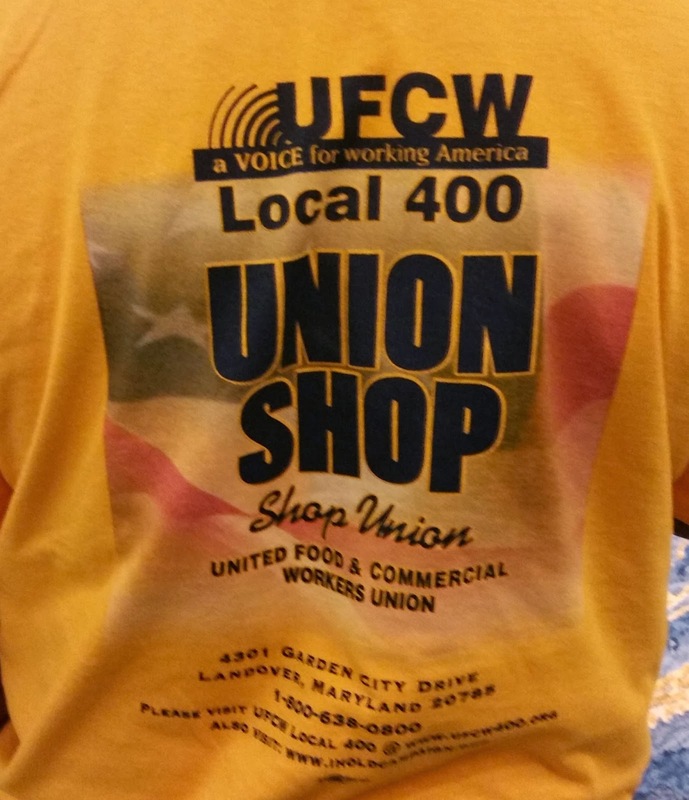 “The golden trout program run by DEM was the ticket this weekend. Any place they put them anglers were catching them including Silver Spring Lake in North Kingstown.” said John Wunner of John’s Bait & Tackle. “Bass fishing has really picked up.” said John Littlefield of Archie’s Bait & Tackle, Riverside. The bass bite is good at Stump Pond, Lincoln Woods, and Echo Lake in Barrington.” said Littlefield. “Squid are in.”, said Dave Henault of Ocean State. They arrived at Goat Island, Newport and under the Newport Bridge Friday night. Capt. BJ Silvia ran into some Sunday while fishing in the Newport area.” Squid are in from the southern coastal beaches according to Elisa Martin of Snug Harbor to the Sakonnet River said Manny Macedo of Lucky Bait. 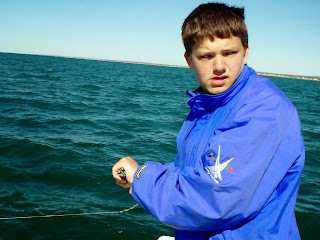 Aidan Olf of Portsmouth, RI learns how to jig at Capt. Charlie Donilon’s mate school Saturday. It’s all part of the job. Capt. Charlie Donilon tells students in mate school that it is their job to inform customers about Port of Galilee history. Carlin O’Hare of Cranston, RI with 40 pound tarpon he caught in Puerto Riccio last week. 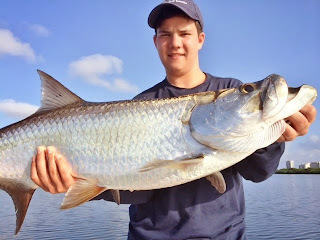 “Tarpon are great fighters and very hard to hook and land.” said Dan O’Hare (his Dad). Capt. Charlie Donilon of Snappa Charters, Pt. Judith wrapped up his first mate school last Saturday with a practicum in the field aboard Snappa Charters. Mate School teaches students who want to be mates on charter and party boats. For information on future ‘Mate School” sessions contact Capt. 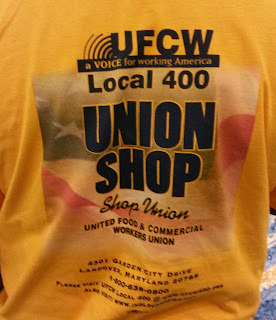 Donilon at 401.487.9044 or snappacharters@cox.net. “Do you want more bait in the ocean for big fish like striped bass, blue fish and tuna? How about more food for whales and seabirds? We need to protect our forage fish so they can fulfill their important role.” said Save the Sound, a Connecticut based conservation group, dedicated to protecting Long Island Sound and the rivers and waterways that flow into the Sound. In an email campaign last week Save the Sound was rallying support for Amendment 8 to the Atlantic Herring Fishery Management Plan of the New England Fishery Management Council (NEFMC) setting new fishery parameters that would allow the species to flourish as a forage fish. The NEFMC manages Atlantic herring, cod and a host of other species in our region. The National Oceanic and Atmospheric Administration (NOAA), their regional fisheries councils and fish mangers in general are realizing the value of forage fish. The fish eaten as forage by species recreational anglers target have greater value being left in the water recreationally than they do being harvested commercially for processing. According to NOAA, although recreational fishing accounts for only 2% of the landings nationwide it has a far reaching and sustainable impact on our society. Recreational fishing represents over $70-billion in economic output and 454,500 jobs compared to less than $26-billion in economic output and 305,000 jobs for commercial fishing nationwide. With this economic impact it is vitally important that the nation, New England and Rhode Island manage the recreational resource to abundance so recreational fishing can continue to thrive in a highly sustainable way and continue to serve as a primary economic engine of growth. 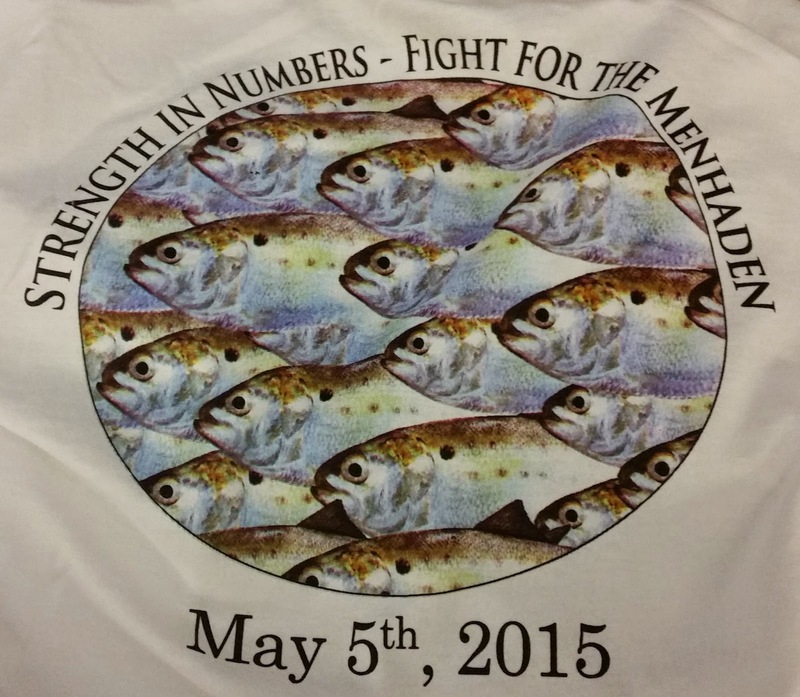 Anglers are also gearing up for the Atlantic Menhaden Management Board meeting on May 5th of the Atlantic States Marine Fisheries Commission (ASMFC). The Commission regulates Atlantic menhaden, striped bass, summer flounder and a variety of other species in our region. A recent stock assessment by the ASMFC shows that Atlantic menhaden fish stocks are rebuilding and because of this fish processors are asking for their catch limits to be increased. Conservation groups and fishing associations up and down the east coast are objecting, claiming that Atlantic menhaden (or pogies as we call them in Narrgansett Bay) have far greater value as a forage fish for striped bass (and other fish) than they do for commercial processors and therefore the ASMFC should manage them as a forage fish using ecosystem based fisheries strategies. Robert Ballou from the Rhode Island Department of Environmental Management (DEM) is co-chair of the ASMFC’s Atlantic Menhaden Management Board and Jamie McNamee, marine biologist with DEM, is chair of the Board’s technical committee. 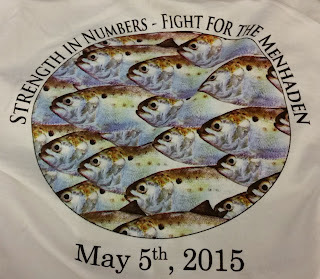 ON Thursday, April 30th, 5:00 p.m. the Rhode Island ASMFC representatives will hold an input meeting to discuss agenda items for the upcoming May 4-7 ASMFC meeting in Alexandria , VA including Atlantic menhaden. The meeting will take place in the small conference room in the Coastal Institute Building at the URI Bay Campus, Narragansett. For the ASMFC’s meeting agenda, visit http://www.asmfc.org/home/2015-spring-meeting. The Department of Environmental Management announces that Saturday, May 2 and Sunday, May 3 are free fishing days in Rhode Island. During those two days, all Rhode Islanders and visitors can fish in freshwaters without a fishing license or trout conservation stamp. The free fishing weekend does not apply to saltwater fishing or saltwater licenses. For the sixth year, DEM fish hatcheries are offering anglers the chance to catch a coveted golden rainbow trout. Over the past several years DEM’s hatchery staff have been raising and stocking a strain of rainbow trout that is gold in color. This year, the hatcheries will be stocking them at six ponds throughout the state for the free fishing weekend. Ponds receiving the golden trout include Peck Pond, Burrillville; Silver Spring Lake, North Kingstown; Barber Pond, South Kingstown; Browning Mill Pond, Exeter; Upper Melville, Portsmouth; and Lake Tiogue, Coventry. Fresh water fishing is where the action was this week. Capt. Ron Mouchon of Breachway Bait & Tackle, Charlestown, said, “Trout, bass, and pickerel are all biting in local ponds and lakes. We are selling a lot of shiners, worms and the bait of choice for trout is yellow PowerBait. 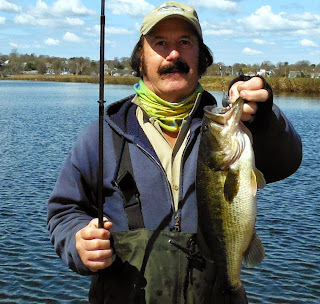 Bass to six pounds are being caught at Meadow Brook Pond (Richmond) and Worden’s Pond (South Kingstown). Angler Aiden Olf of Portsmouth said, “The bass bite is very good on the small ponds as the water has warmed. Move to a larger ponds and the bite is off as the water is to cold. They take longer to warm up.” Angler John Migliori of Middletown caught a 5.2 pound largemouth bass using a Schadeycreek Chartreuse Dynamite Lure last week in an Aquidneck Island Pond. Mike Cardinal of Cardinal Bait & tackle, Westerly said “The trout bite has been good at Carolina Pond and the Wood River.” Visit www.dem.ri.gov for a list of ponds, lakes and rivers stocked with trout by DEM. Tautog fishing is not good. “Anglers targeting tautog have had little luck. The water is too cold.” said Michael Cardinal of Cardinal’s Bait. “Customers have been catching tautog but they have been small. Now that the dandelions are up and things are warming up hopefully we will start to have a better tautog bite.” said Frank Mello of Lucky Bait & Tackle, Warren. Striped bass have arrived at the West Wall of the Harbor of Refuge, however, many anglers have not been fishing. “Who wants to be hit with cold and freezing spray” said Capt. Ron Mouchon of Breachway Bait & Tackle. Customers have caught some small striped bass at the Charlestown Breachway and in the Pawcatuck River, Westerly.” said Mike Cardinal. “We heard reports of one or two small school striped bass being caught in the Warren and Warrick areas. One customer called last week and said they saw a small school of striped bass working squid near the T wharf at Prudence Island last week.” said John Littlefield of Archie’s Bait & Tackle, Riverside. Capt. Al Anderson of South Kingstown with striped bass is the catch, tag and release King. Capt. 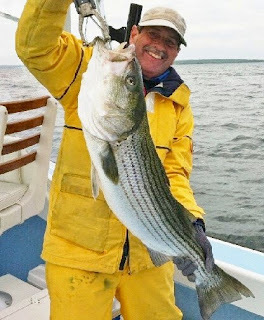 Dave Monti with a Narragansett Bay (East Passage) striped bass caught and released this spring using a circle hook with chunks of Atlantic menhaden. The 29th Monster Shark Tournament will take place in Newport, RI from July 16 to 18. This year the Tournament is dedicated to founder Steven James who passed away last year. James was former tournament president and president of the Stellwagen Charter Boat Association. "He was so proud of the tournament and was able to institute the highest weight limits, making this more a catch and release tournament. 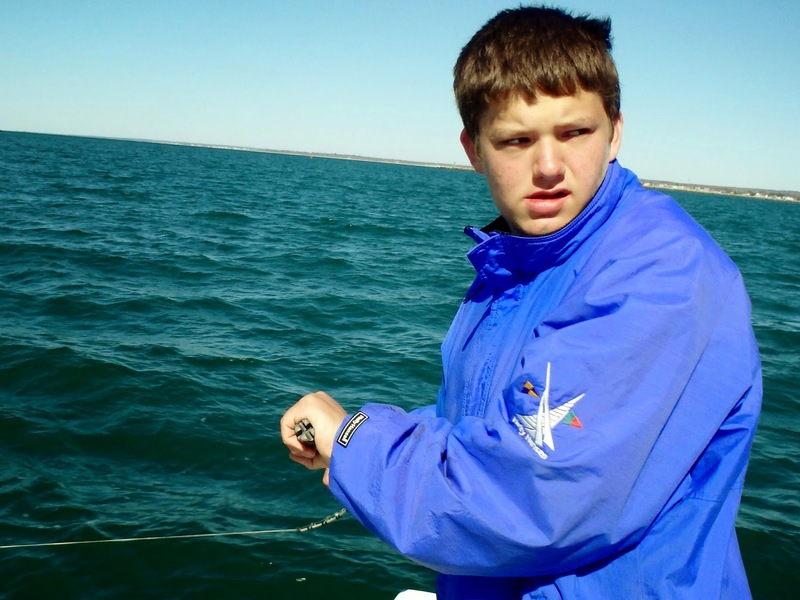 Only the largest and heaviest sharks are brought in and the tournament is dedicated to gathering information about sharks.” said Doreen Ryan-James, mother of James. Captains are given the opportunity to tag the sharks they catch and release them. Lisa Natanson of NOAA’s National Marine Fisheries Service Apex Predator Program will lead a team on-site to collect data and information on the sharks that are brought in. Captains will leave Casey’s Marine in Newport before dawn and have lines in at 7:00 a.m. Friday and Saturday morning. The public is invited free of charge for the weigh-ins at 2:00 p.m. on Friday and Saturday at the Marina. In addition to seeing the sharks, there will be information on the different types of sharks, their habits and habitat. For details and comments please reach out to Lisa Helme Danforth at lisad@coastalanglermagazine.com or call 203.321.7635. Now that the striped bass limit is one fish/angler/day at 28”, it is more important than ever before to use good catch and release practices. Once you fine tune your catch and release tactics to insure fish you catch have the best chance of surviving, why not consider tagging the fish. Fish tagging programs provide scientists and fish managers with data they need to manage fisheries more effectively. Three organizations are responsible for most of the tagging in Rhode Island waters and the northeast; they are the American Littoral Society (www.littoralsociety.org), the Hudson River Foundation (www.hudsonriver.org) and the U.S. Fish and Wildlife Service (www.fws.gov). All three groups use catch and release data to study the species… migratory patterns, growth rates, fish stock projections, etc. The research helps us understand and manage our fishery. Striped bass are the most popular species tagged; however, fluke and blue fish are commonly tagged as well as a host of other salt and fresh water species. When you catch a fish with a tag (usually a dorsal loop tag or a belly tag), return it along with recapture information to the address on the tag (or call the toll free number on the tag). Record pertinent information immediately so you don’t forget including species, location, length, weight, the condition of the tag insertion site and any other comments. The date of the trip, your name and address should be supplied as well. Some organizations offer incentives to those returning tags and surveys, which include cash awards ($5) and prize drawings. One way to enhance survival chances of the fish you catch is to use circle hooks. Circle hooks have been used by commercial fisherman for years. When long-line fishermen using circle hooks would return to check their hooks… the fish would still be alive, hooked in the jaw or mouth and not in the stomach. After a fish swallows a baited circle hook and starts to run, the hook and bait are pulled out of the stomach and slides toward the point of resistance on the fish’s jaw or lip and embeds itself in the lip, usually the corner of the fish’s mouth. Circle hooks successfully hook bass in the mouth 95% of the time. The trick is not to jerk the rod to set the hook because you could pull the bait and hook out of the fish’s mouth. Let the fish run, as it does, it will pull the hook out of its stomach and hook itself on the lip. Once this happens start fighting the fish and reel it in. Consider these techniques to enhance your catch and release efforts. In February of 2015, the International Game Fish Association (IGFA) held their fifth annual Legendary Captains and Crew Awards (LCCA) dinner. The primary criteria for receiving the award is that the captain or crew member must have provided leadership in their trade and have earned the respect of their peers by making a meaningful contribution to the sport of recreational angling over time. Recipients received the Tommy Gifford Award at the IGFA Fishing Hall of Fame and museum in Dania Beach, Florida. This year, Capt. Al Anderson from Rhode Island received the award. Capt. Anderson was inducted into the IGFA Hall of Fame in 2013. 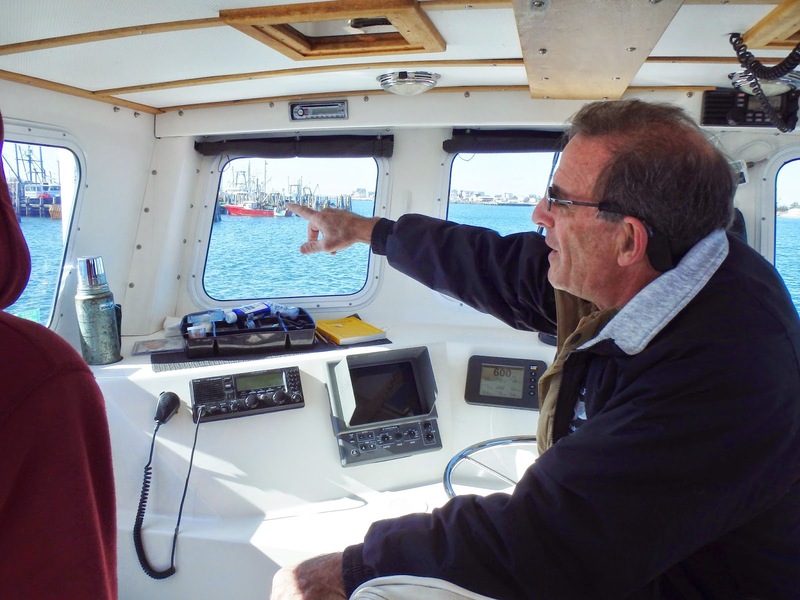 He started charter fishing on the PROWLER out of Snug Harbor Marina in 1967 and started tagging bluefin tuna. Anderson has tagged more than 60,000 gamefish in his career, and is credited by the IGFA with tagging more fish for science than anyone in the Atlantic. Anderson has authored five books and over a hundred sport fishing articles for regional, national and international magazines. The Rhode Island Saltwater Anglers Association (RISAA) is running a tag and release program for members this year. Contact committee chairman Bob Murray at murry@risaa.org for information and tagging kits.